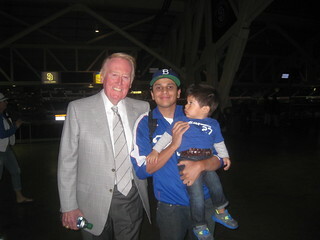 VIN SCULLY IS MY HOMEBOY: Gatorade Shower for Matt Kemp! 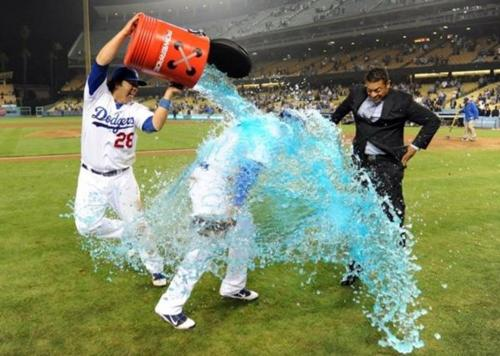 Gatorade Shower for Matt Kemp! 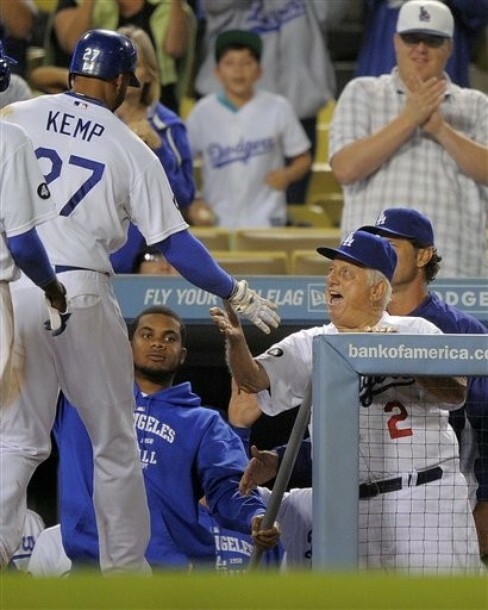 Matt Kemp is congratulated by Tommy Lasorda after he hit a two-run home run during the eighth inning last night. And here's video of the post game interview from Fox Sports.